Summer is winding down …. it is such a bummer. Kids across the country are starting to go back to school. Soon enough, bloggyland will be in a pumpkin explosion … believe me, you can count on that. 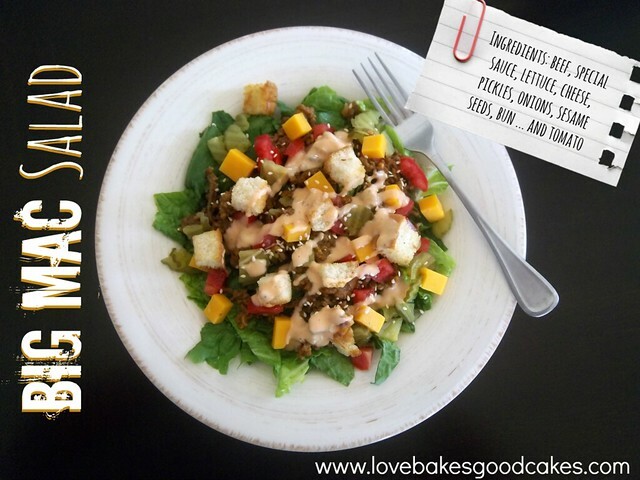 I couldn’t let Summer pass without sharing one of my favorite Summer salads. If you know me, then you know I love peaches. They are by far, my favorite fruit! Although mostly we just enjoy eating them as they are, I love to make a few salads and cobblers during peach season too! This Peach and Raspberry Chicken Salad combines some of my very favorite things – and I feel good feeding this to my family. It’s healthy and light enough for a Summer dinner. Enjoy! Divide the salad ingredients between four plates. 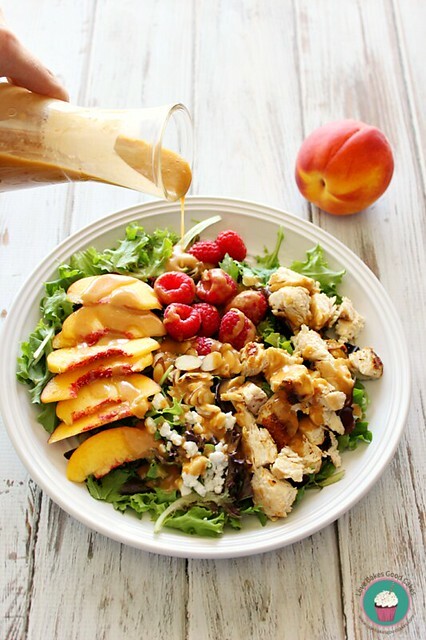 In a blender, place all of the peach vinaigrette ingredients except the vegetable oil. Cover and process until well blended. With the blender running, gradually add the oil in a steady stream until emulsified and creamy. 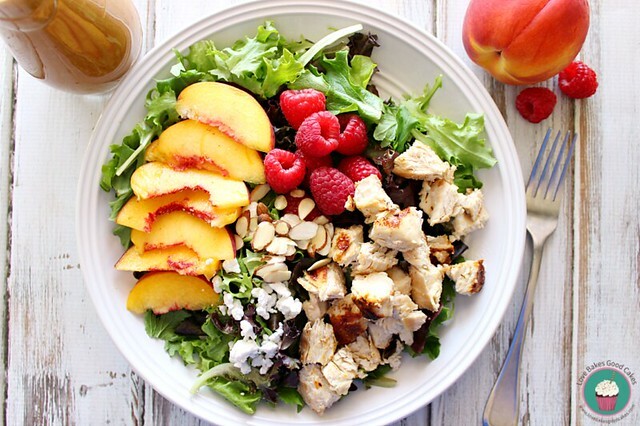 Serve with the Peach & Raspberry Chicken Salad. This salad looks delicious! 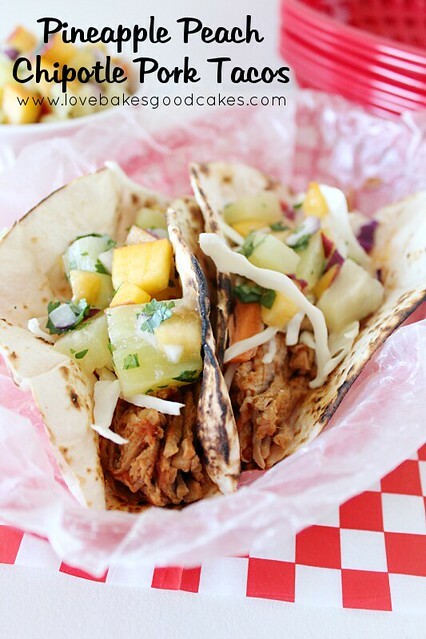 Definitely need to make this for myself for lunch ASAP! I'd be thrilled if you'd link up at this week's Off the Hook Monday! Yum! This looks delicious. Love the addition of the peaches and raspberries too. Stopping by from the From Dream to Reality linkup and would love for you to check out my food blog! This is a strikingly gorgeous salad, Jamie! Jamie – this is so – so – so my type of salad! Love it!! This salad looks phenomenal, Jamie! I've loved my peaches this summer and I agree – I'm definitely not ready for summer to be over!! 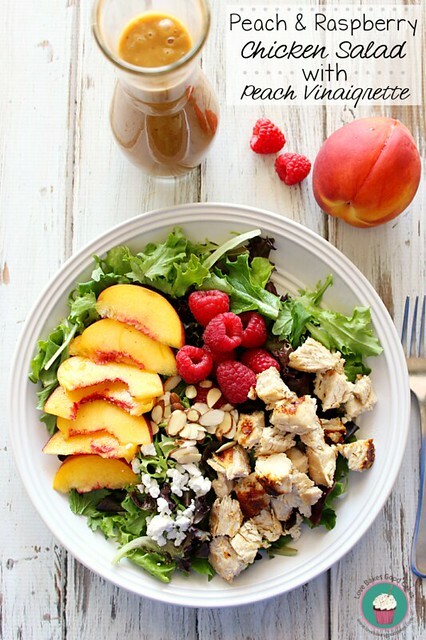 I just love a great fresh salad like your Peach Raspberry Chicken Salad, it looks delicious! Thanks so much for sharing your awesome recipe with Full Plate Thursday this week. Have a great weekend and come back real soon! This looks really beautiful and I love peaches!!! I'll definitely try this one soon. What beautiful pictures! This looks so yummy and healthy! Thanks for sharing! Jamie, Thanks for sharing with us at Best of the Weekend – I'll be featuring this on my blog tomorrow night! I love salads!! Could EVOO be used instead of the vegetable oil?